Funeral service for Mr. Felton A. Gates will be at 10 a.m. Friday, March 9 at Blanchard-St. Denis Funeral Home with Bro. Bert Arnold officiating. Burial will follow at Marthaville Cemetery in Marthaville. The family will receive friends from 9-10 a.m. Friday at the funeral home. Felton Gates, 88, and a resident of Natchitoches, passed away Monday, March 5, 2018, in Natchitoches. He was born Aug. 12, 1929, to Alvie and Leola Hancock Gates in Sikes. He proudly served and was honorably discharged from the United States Navy in 1950. 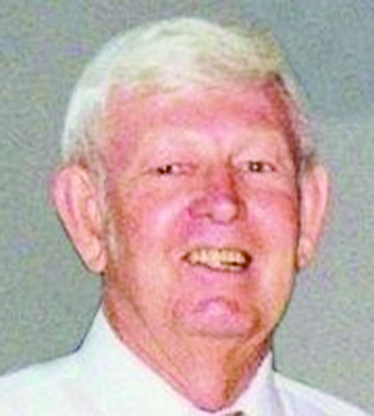 Felton worked many years for South Central Bell and ultimately retired from AT&T. Felton loved to travel, especially to Colorado, and was a long-time member of the Good Sam’s Club. He will be dearly missed by his family. He was predeceased by his parents, Alvie and Leola Hancock Gates. He is survived by his wife, Elva Lee Berry Gates; sister, Nell Hatten and husband Bud; children, Wayne Gates and wife Darlene, Paul Gates and wife Connie, Roxie Green and husband Sidney, and Jimmy Berry and wife Reba. He was blessed with six grandchildren and 12 great grandchildren.